The National Panhellenic Conference is the umbrella organization for more than 575 College Panhellenic Associations. These associations, comprised of all the sorority women on campus who are members of an NPC member chapter, develop and maintain sorority life and interfraternity relations at a high level of accomplishment on campus. NPC is proud of the work that College Panhellenics do throughout the U.S. and Canada, including the work of the University of Illinois College Panhellenic. Total campus sorority membership is 3,973. The University of Illinois ensures their recruitment counselors are thoroughly trained to assist potential new members (PNMs) to the best of their ability. Once they are selected to be part of the program, recruitment counselors must enroll in a spring semester class provided by the Educational Psychology Department. Women receive two credits from the University for this Class that is specifically geared toward preparing recruitment counselors, informing them on the policies and procedures of primary recruitment at the university and enhancing understanding of the National Panhellenic Conference. During the semester, the women participate in class discussions, group projects, expert lectures and interactive role-plays to prepare them for their leadership role. Course objectives include developing basic listening skills, taking an empathetic perspective and counseling micro-skills to assist in future interactions with PNMs and concerned parents as well as enhancing professionalism and ethical decision-making. The women must receive a grade of 80 percent or higher in the course in order to continue on with the recruitment counselor program. After the summer, recruitment counselors are required to return to campus a week early to continue preparing for recruitment. To learn more about the University of Illinois College Panhellenic visit: http://illinoisphc.com/. The National Panhellenic Conference is the umbrella organization for more than 575 College Panhellenic Associations. These associations, comprised of all the sorority women on campus who are members of an NPC member chapter, develop and maintain sorority life and interfraternity relations at a high level of accomplishment on campus. NPC is proud of the work that College Panhellenics do throughout the U.S. and Canada, including the work of the Mississippi State College Panhellenic. Located in Mississippi State, Miss. Total campus sorority membership is 1,977 women. For the past two terms the all sorority GPA has been higher than all women’s average. To promote academic excellence, the College Panhellenic hosted a joint 4.0 banquet with IFC and NPHC, where they treated the men and women from all three councils to dinner and gift cards for a local smoothie shop. 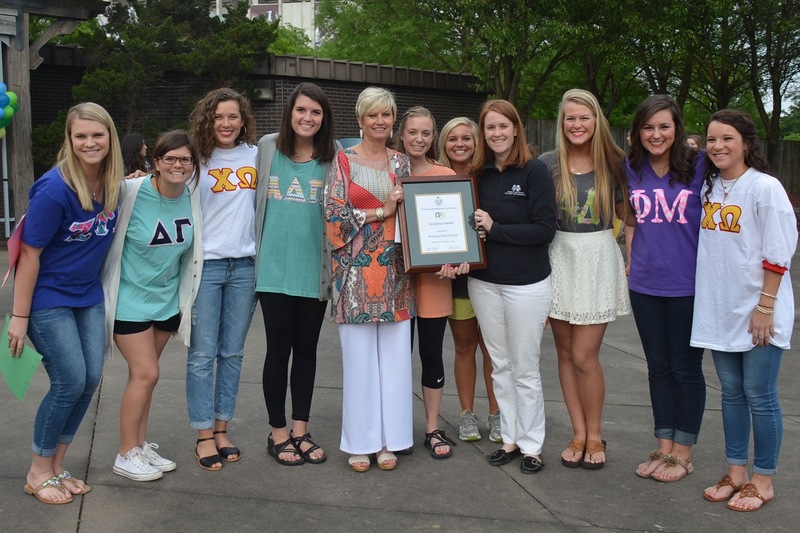 During the 2014-15 academic year the College Panhellenic raised $45,000 for philanthropic causes. To promote the primary recruitment process, the College Panhellenic hosts a sorority spring preview day every April. The purpose of this event is to introduce potential new members to sorority life and to offer a glimpse into what the actual recruitment week could look like for them. This event helps spread the word about when registration for recruitment will open and where to register. To learn more about the Mississippi State College Panhellenic visit www.panhellenicmsstate.com.